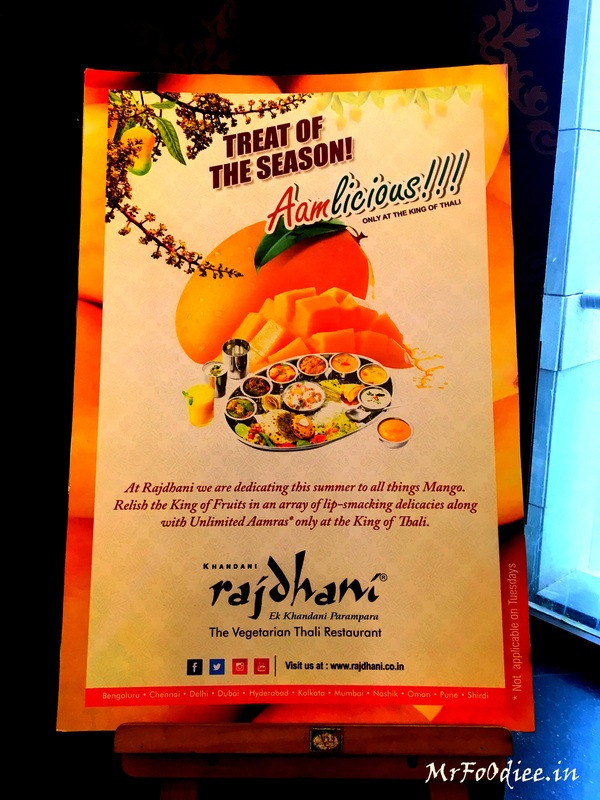 Rajdhani is the one and only place in chennai, who celebrates Aamlicious festival every year, i was waiting for a whole year just to have a delectable food made out of Aam. So whats special about Aamlicious ? Each and every food which they serve are made out of Mango- What Mango seriously ? yes you heard it right, Everything is made out of perfectly chosen mango’s. 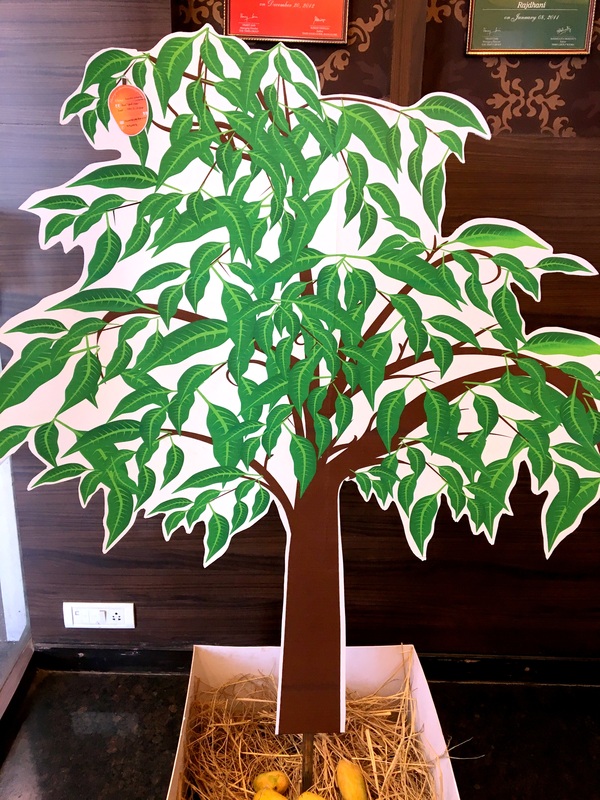 This festival is surely a roller coaster for the mango lovers, they have from Aamras to mango jalebi to Aam thandai to Aam lassi to Aamrakhand to Chatpata. How about the taste, ambiance and service of this place ? I personally felt the service was damn good, they treated me like the special guest. The moment i entered they approached me properly and gave me the proper seat to settle up, one of the staff came with a eye catching copper jar with water and base asked us to wash our hands. i was totally astonished, i have never seen any restaurant bringing water base right to your place to clean ur hands, just loved it. 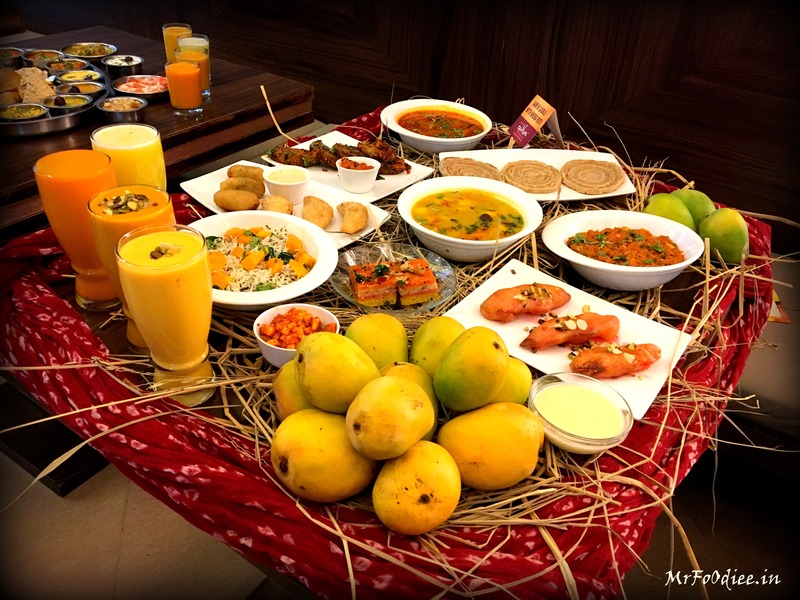 Coming the taste, Our thali started with Aam Thandai and Aamrakhand. Aam Thandai was made from unripe mango with hot pepper in it, it was so thick and little fiery as well, coming to Aamrakhand it was sweet and its was damn perfect, I personally liked Aamrakhand its was too good. it just dragged my attraction, its was presented perfectly with cheese and tomato on top of it. They seasoned it exactly like how pizza’s are meant to be. dhokla was so soft and texture was perfect. Tawa paneer with roti became a best pack of joy, it went so well. Paneer was perfectly cooked it was so soft and gravy was so rich and yummilicious. Im not a big fan of dal baati because everytime i land up in gujarathi resturant to have dal baati, in gujarathi style they dulcify the food with sugar but rajasthani style dal baati was excellent. it just kicked my taste bug with aromatic ghee smell, Wow it gave me a heavenly feel. its surely a one bite wonder, you will fall in love with it in the first bite. its was so luscious and yummy. Must try it. One of the best dal rice i ever had, its was so perfect. The moment i had the first bite all my childhood memory just flashed in right front of my eyes in tamil we call it as ” papu sadam” in rajasthani they call it as khichidi. Been already impressed with kitchidi, dum biriyani was a add on to it gave me a heavenly feel, you can sense the presence of ghee in the first bite. its was bit greasy still its was damn good. Coming their signature dish Aamras, it will surely make your day, The aromatic smell of Alphonso will just drag up toward this drink, its was so luscious and perfectly sweetened. just loved it. Its surely a Nectarous Drink for sure. 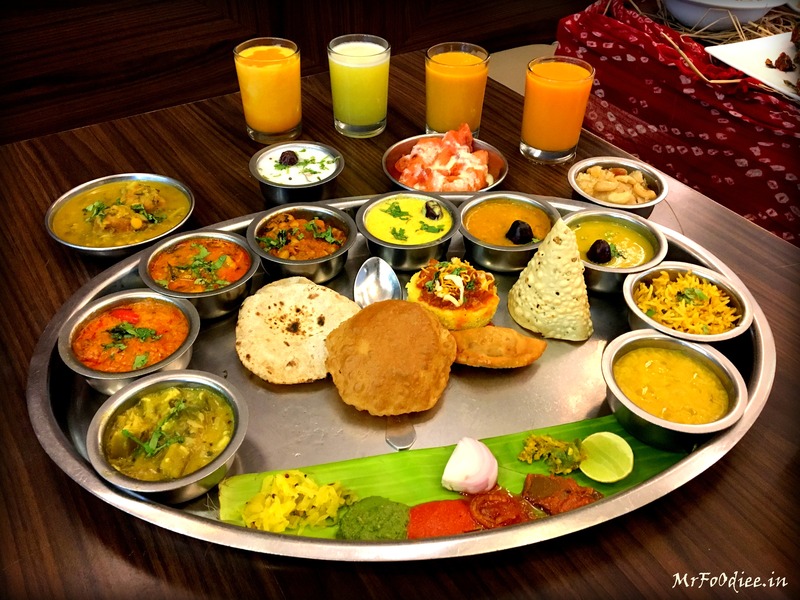 Overall this place is best for the one who seeks mango and rajasthani food, this is the only place in chennai who servers authentic rajasthani ambrosial food. Kindly please do try the Aamlicious festival with your family and friends. I wasnt able to find any mistake in their food its was perfect in all its way, would rate them 4/5 and a big shout to “Asmita” who invited me for this festival, Ty very much. 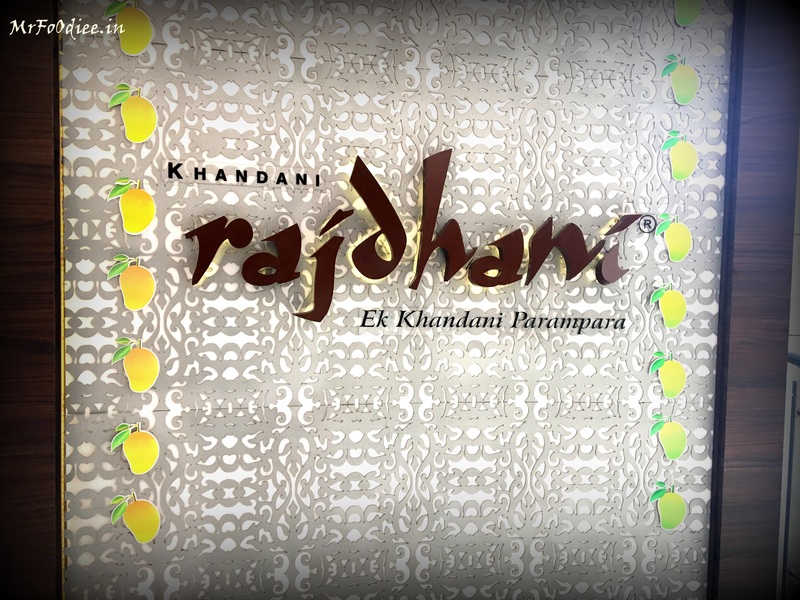 When is the discount day at Rajdhani?